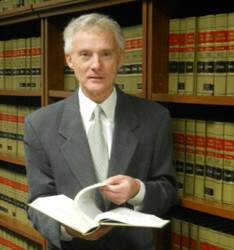 Hundreds of Romanian-Americans from all over Texas will peacefully rally in front of the Norwegian Consulate General of Houston to protest the unlawful seizure by the Norwegian Government of the five (5) children of Marius and Ruth Bodnariu, a Pentecostal Romanian-Norwegian family living in Norway. Why: Millions of Romanians have left their homeland in the last several decades to escape political and religious persecution at the hands of the Communist regime. Many others left seeking a better life abroad. 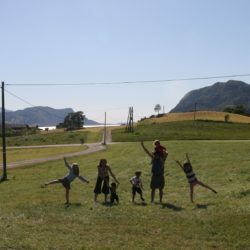 Thousands resettled in Norway as well where, as everywhere else in the world, they have maintained their deeply held religious beliefs and traditional values. 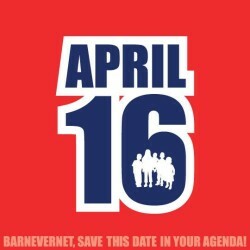 On November 16, 2015 Norway’s Child Protective Services, known in Norway as Barnevernet, seized the five (5) children of Marius and Ruth Bodnariu under cover of darkness and without court order. Four police officers and two social workers stormed the family farm, accused the parents of abusing their children, and seized the children, aged between three (3) months and 9 years old at that time. Inappropriate comments were made about the family’s faith, including the allegation that religion inhibits the proper development of the children. Three of the children were born in January. 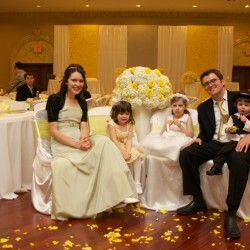 Their unlawful abduction has deprived them of the family birthday celebrations to which they are rightly entitled. 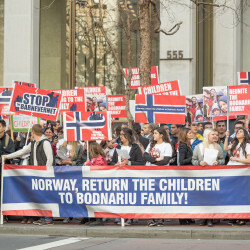 Norway had long targeted the natural family and has a systematic policy of removing ethnic children from their immigrant parents and placing them in foster homes, depriving the parents of their parental rights, and then putting the children up for adoption. 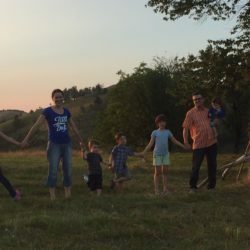 Since November 16, 2015 tens of thousands of Romanians have held peaceful rallies in Romania, Europe, North America, and Australia to protest the violation of the Bodnariu family’s parental rights and parental autonomy. More demonstrations are planned in support of the family in Poland, Russia, the Czeck Republic, and other countries where families which have also been victimized by Norway’s Child Protective Services live. On February 6, 2016 Texas’ Romanian-Americans will join this international protest. Houston is home to 10,000 Norwegian citizens, the largest Norwegian community outside of Norway. Some 200 Norwegian companies do business in the Houston Greater Metropolitan Area.